The March issue is out now! 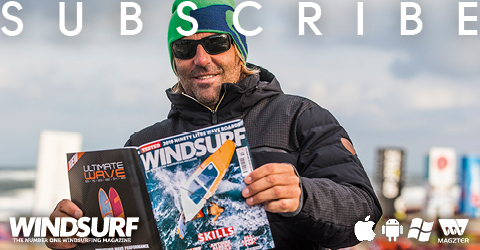 Subscribe and receive your copy in either Print or Digital format. 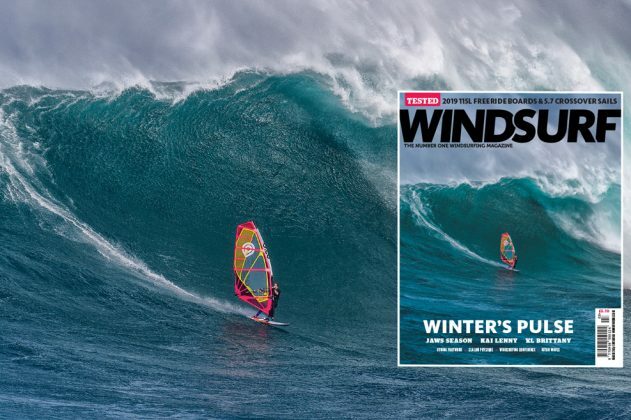 Winter’s pulse: XL Brittany, Kai Lenny interview, Jaws season, Tested: 2019 115 litre freeride boards & 5.7 crossover sails, Peter Hart on windsurfing confidence, Slalom physique, Gybing footwork with Jem Hall, Niton – Isle of Wight waves, windsurfing with arthritis. 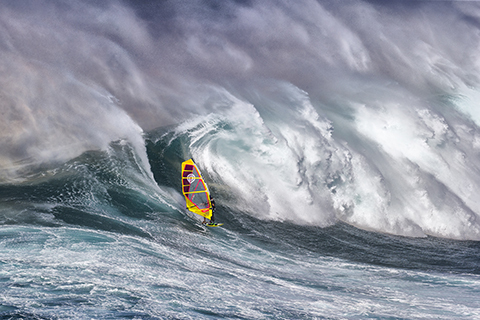 UK charger Vickey Abbott takes the drop on a solid one at Pe’ahi /Jaws. Pe’ahi – a.k.a. Jaws, has been on overdrive for the 2018/19 season. 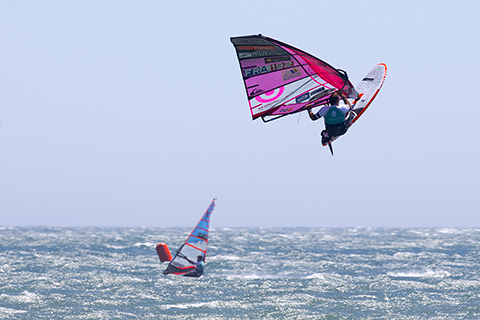 John Carter, Kai Katchadourian and Charles Vandemeulebroucke report on the XL action. 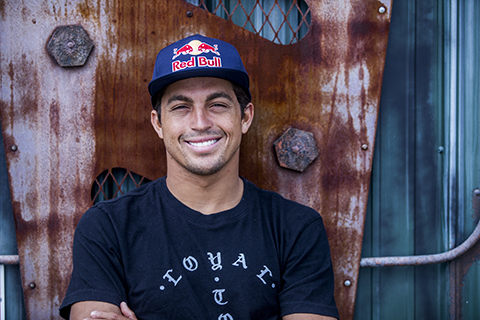 Kai Lenny is the greatest all-round surf sport athlete on the planet right now. John Carter finds out the secrets behind his skills and success. 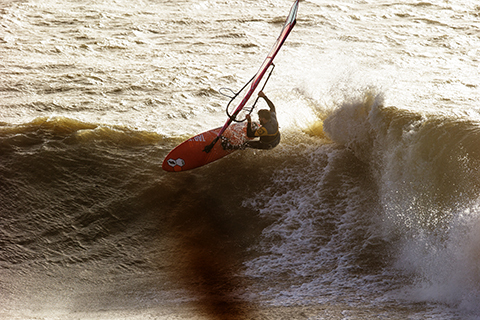 Niton on the Isle of Wight offered a feast of cross-shore wavesailing to gorge on just before Christmas. John Carter reports on the festivities. 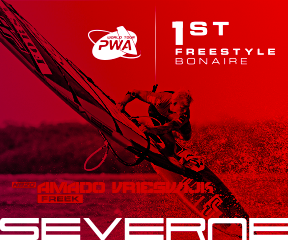 Advances in equipment have levelled the playing field in slalom. 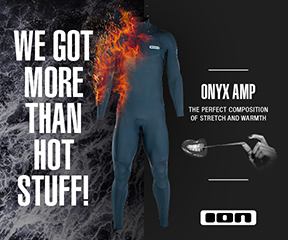 We asked a selection of slalom racers if body weights really do still matter! 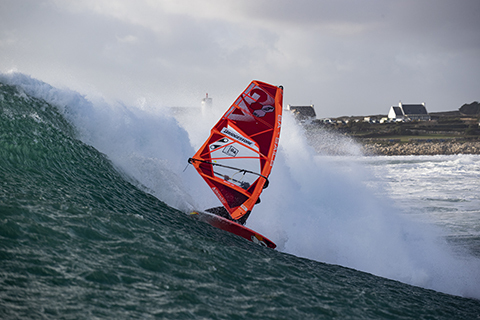 ‘The Windsurf Project’ team turned their focus on Brittany this winter and its famed spot of ‘Île aux Vaches’. We get the lowdown on ‘Project Brittany’. 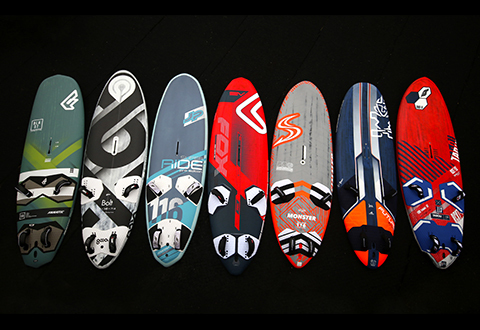 TABOU ROCKET PLUS LTD 113. Harty, coach turned neuroscientist (for a day), speaks wisely on how to rule the self and win the mental battle. 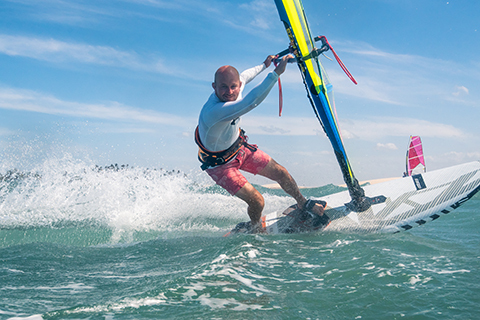 Jem advises this month on how to master our footwork whilst carve gybing. Where there is no news, we bring hope. In times of darkness, we bring light reading. 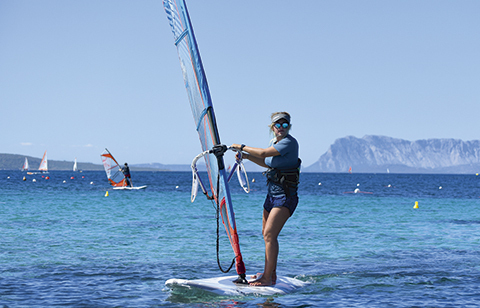 In windsurfing, this is the latest and greatest. 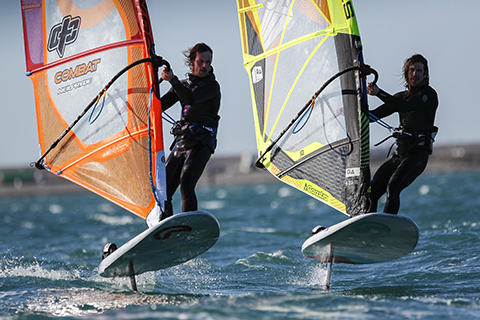 RYA KNOWLEDGE – LEARNING TO WINDFOIL. 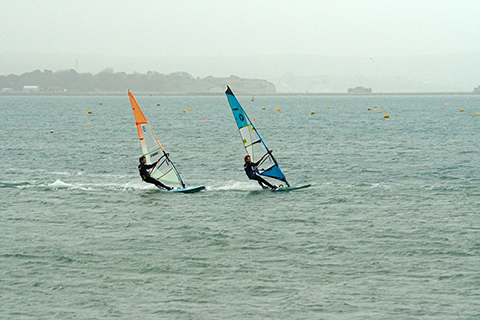 The RYA tell us how to learn to fly on wind foils. Reader Lauren O’Dwyer-Buckland was diagnosed with Rheumatoid Arthritis at 18 years old. She hasn’t let the illness dominate her life though and shares her inspiring story. 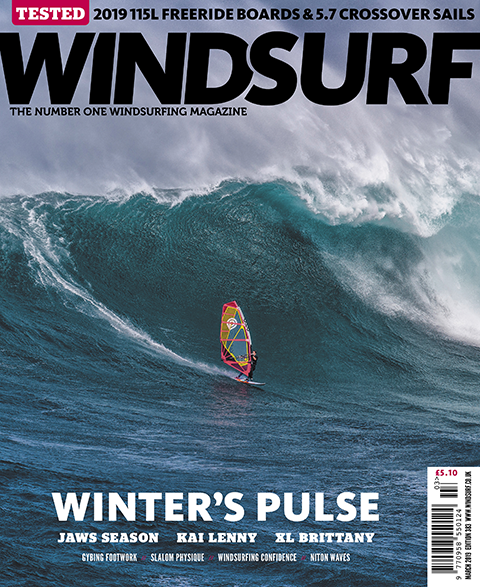 The editor reflects on a pulsing winter season so far. AFFAIRS OF THE HART – PRACTICE OR GENETICS … OR A BIT OF EACH? 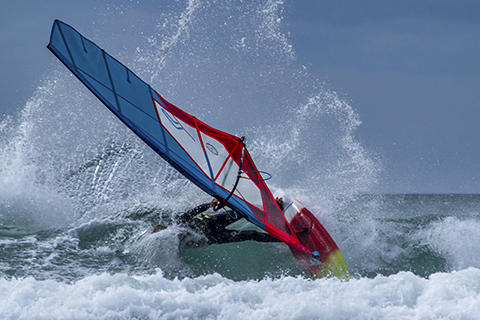 The jury is still out on whether good windsurfers are born or made, Harty offers his thoughts on the debate. Get your Print or Digital copy now!